배우기는 쉽지만 달인이 되기는 만만치 않습니다. 드리블의 천재가 되어서 수많은 적들을 제압하세요! 커리어모드 : 스테이지를 하나하나 정복하세요! 정해진 점수를 채우면 골키퍼와 대면하게 됩니다. 무한모드 : 가장 전형적인 러너게임 모드로, 끝없는 질주를 즐기세요! 수퍼슬로우모드 : 개발자가 추천하는 가장 재미난 모드. 마치 액션영화처럼 느려진 시간 속에서 적들 사이를 누비세요! 각각의 캐릭터는 나름대로의 사연이 있답니다. 커리어모드를 완료하면 엔딩을 통해 그 사연을 볼 수 있습니다. ...그 외 연구를 통해 더 알찬 게임을 만들어가려 합니다. 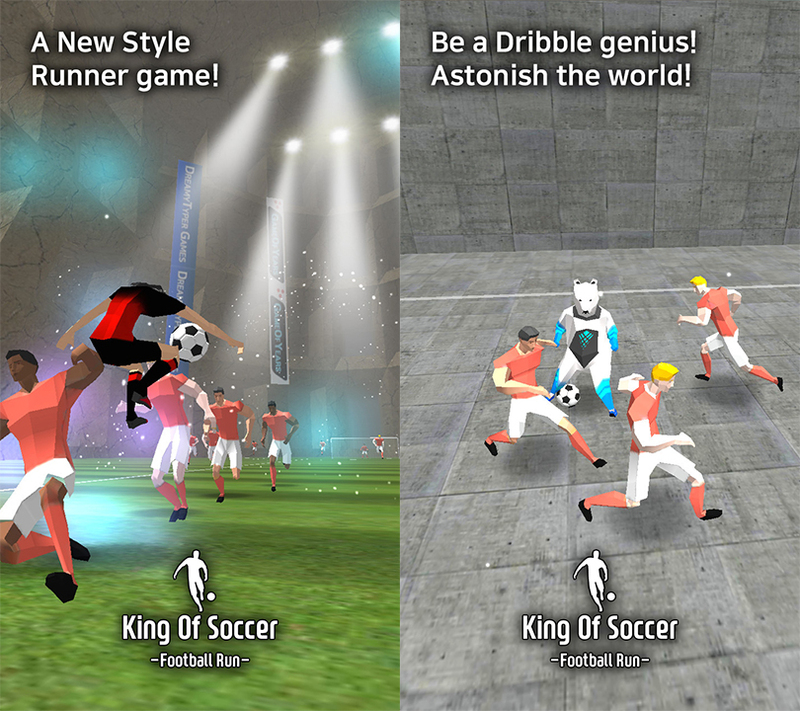 Wanna run like a world's soccer super star? Just play this! 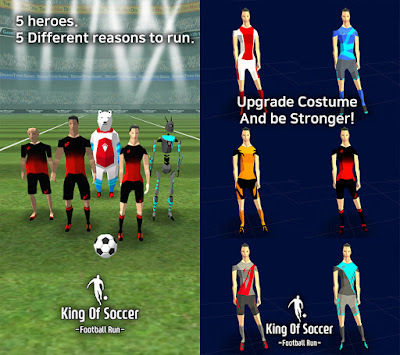 Game Name : "King Of Soccer : Football Run"
Hi~! I'm one man developer Dreamy Typer. For last 10 months I created my second game. Again, it was a tough challenge for me. 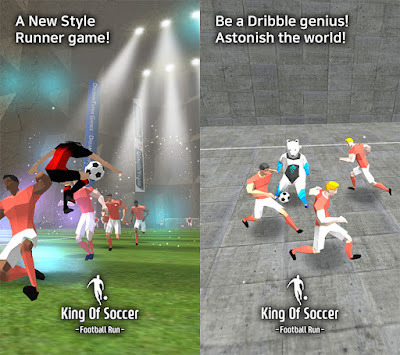 This game is Free mobile game! FREE! This game is easy to learn but hard to be a master. Be a dribble genius and dominate defenders. This game contains 3 different modes. 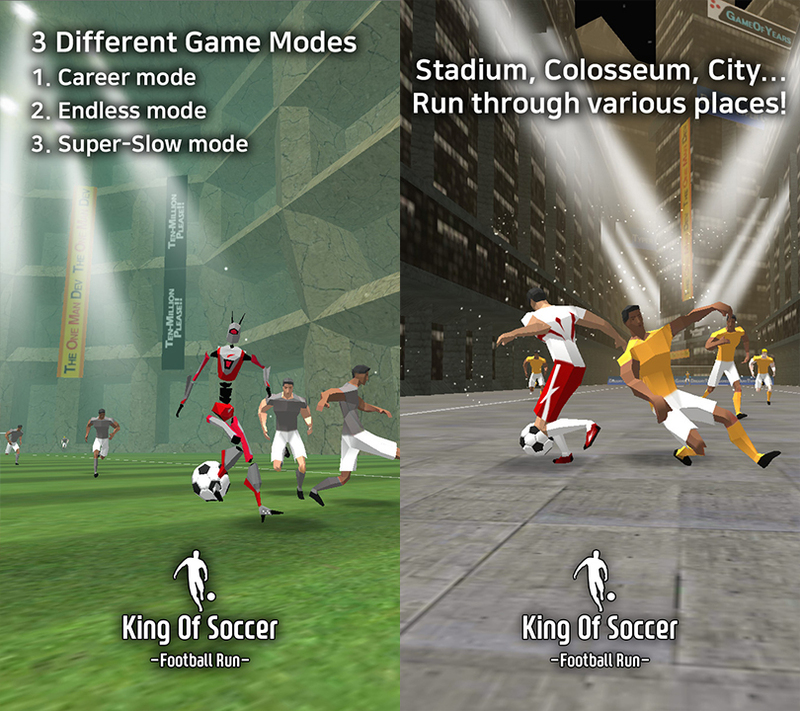 -Endless mode is a typical runner game. Each Character has different stories. If you fully clear career mode, you can watch Ending movie. 4. May be...more soccer skills. 여행 테마. 테마 이미지 제공: enot-poloskun. Powered by Blogger.